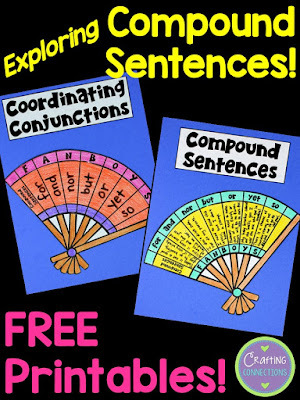 You might think I'm crazy, but I actually enjoy teaching about compound and complex sentences! 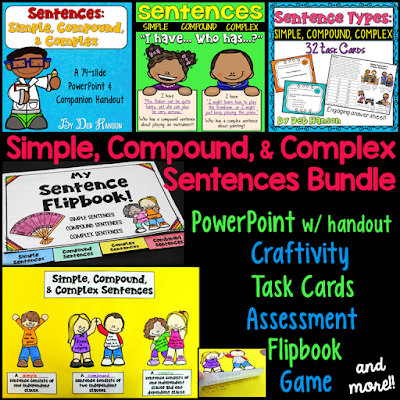 I recently wrote a blog post that focuses on complex sentences at my collaborative blog, Upper Elementary Snapshots. (You can read that post by clicking HERE.) 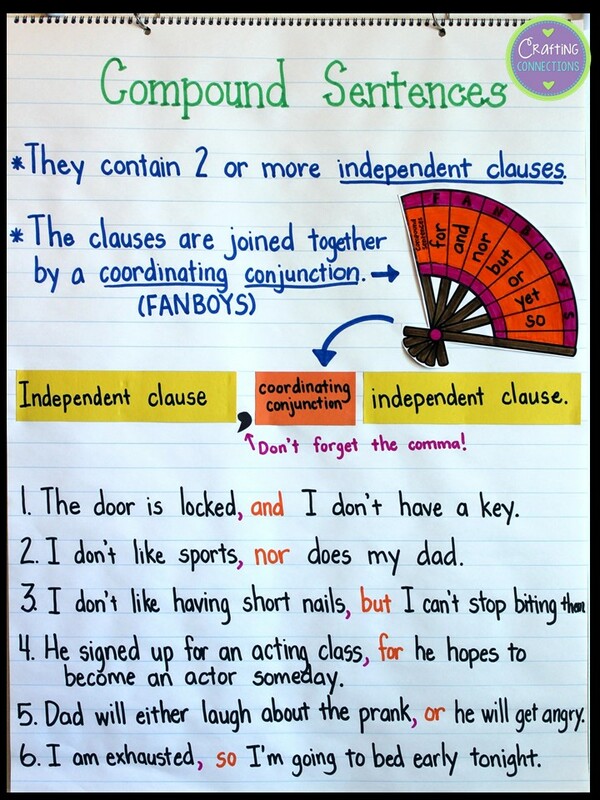 Therefore, I decided to write a related blog post, but concentrate on compound sentences! Max washed and dried all of the dishes. I want to play soccer or kickball. She invited everyone to the party but me. Grace is confident yet humble. Mom is making me clean my closet and organize my drawers. Set the books on the table or on the bookshelf. Joe is extremely talented yet somewhat arrogant. 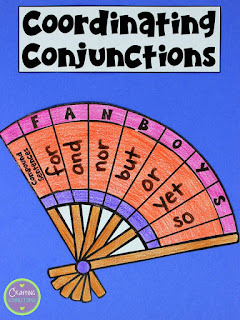 After going through the anchor chart, you can have students write their own compound sentences on this fan. If you want, you can have students make a craftivity out of it. 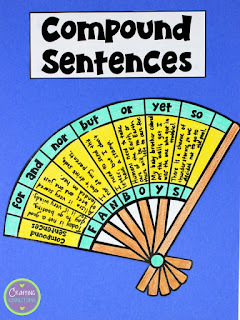 After students write their sentences and you check them over, they can color the fans, cut them out, and glue them to a sheet of construction paper. 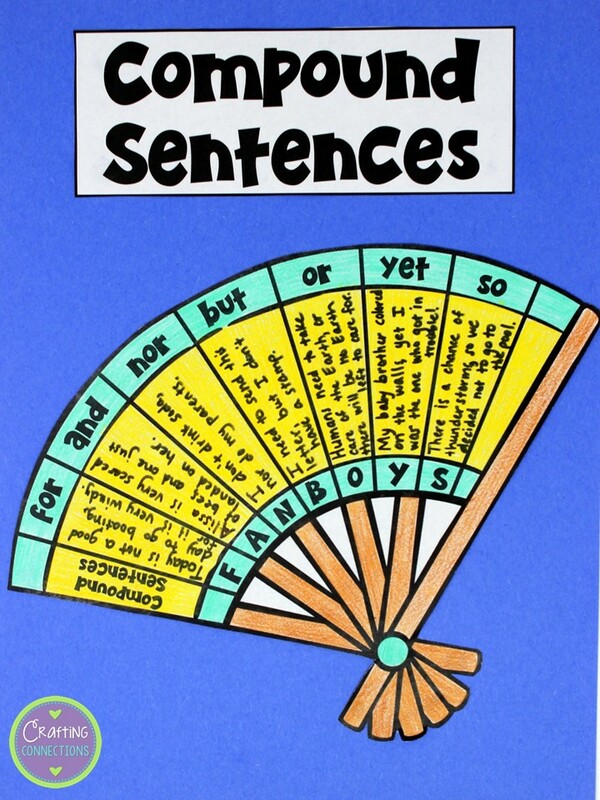 Another option is to have students cut out the fans and glue it into an interactive language notebook. To download these free printables, click HERE. 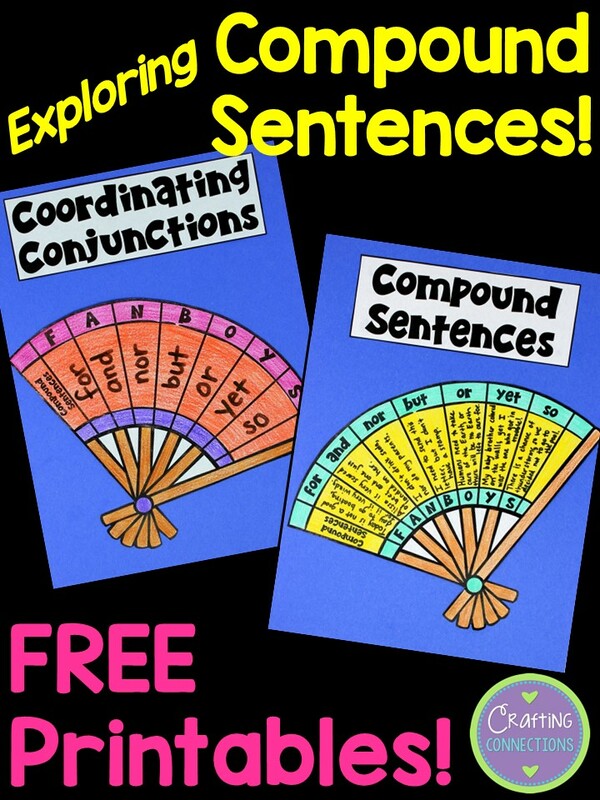 If you are looking for additional resources for teaching about compound and complex sentences to your upper elementary students, feel free to check out the following resource. I have placed my bundle image here, but all of these items are also available for individual purchase in my TpT store.